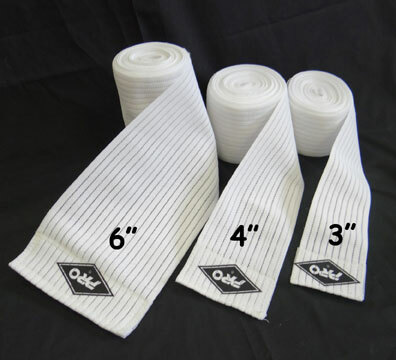 Originally designed for use by professional bull riders in the treatment of groin pulls the PRO 315 Rodeo Wrap is a full 14’ in length (15’ for the 6” rolls). The unique elastic contours to the thigh and waist to provide a low profile wrap. 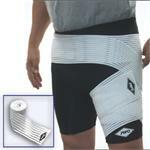 Flexible compression and support provide relief for strains and pulls, making it ideal for use on groin, hamstring and quad areas. Machine washable, air dry. Available in white only 3”, 4” & 6” widths. Sold singly. One size fits all.